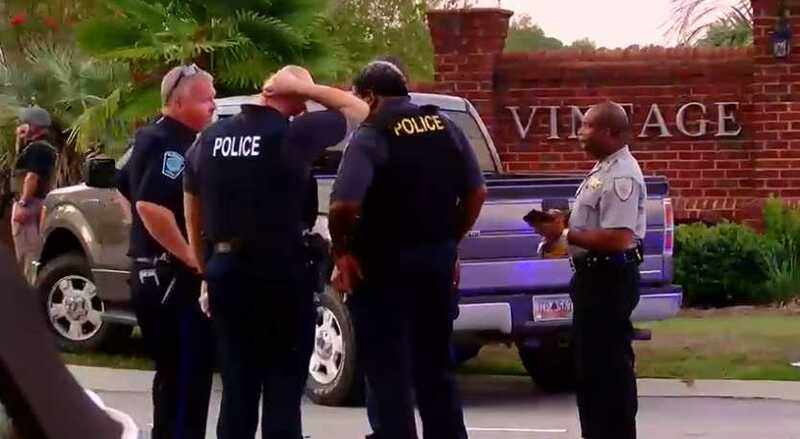 FLORENCE, S.C. — A South Carolina sheriff and police chief are requesting prayer after seven officers were shot in the line of duty on Wednesday when several deputies attempted to serve a search warrant in Florence. One officer lost his life after being struck by the suspect. “I can only echo the sentiments of the sheriff and ask for, at this point and particular time, [the] prayers of every human being who knows the Lord Jesus Christ to pray for these officers,” also remarked Florence Police Chief Allen Heidler. According to reports, sheriff’s deputies arrived at the Vintage Place residence at approximately 4 p.m. yesterday to serve the warrant on a 27-year-old man accused of sexually assaulting a foster child. However, a 74-year-old, now identified as Fred Hopkins, quickly opened fire on the deputies. “He was a giant of a man, but he was the proverbial gentle giant … and I loved him,” he stated. Heidler vowed to take care of the affected officers and their families.